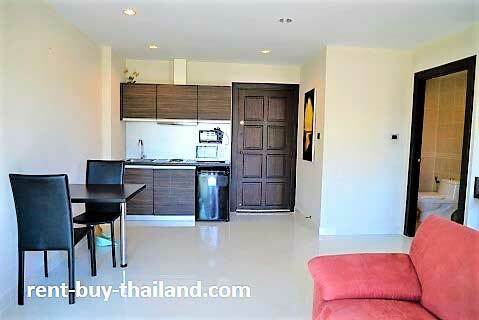 This is a large studio condo for sale or rent on the eighth floor at Park Lane Resort, Jomtien. 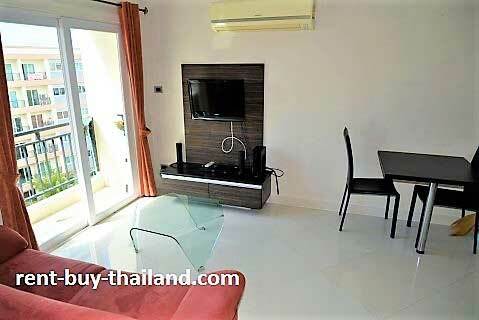 The apartment has been remodeled to a high standard and is tastefully decorated and furnished throughout. The apartment consists of an open plan sleeping, living, dining and kitchen area, a separate bathroom, a balcony, and comes fully furnished. The main living area contains a double bed, bedroom furniture including a wardrobe and bedside tables, a sofa, a coffee table and a flat screen TV and DVD player along with access to the balcony via large sliding doors. There is also a dining area with a table and chairs. The modern bathroom is fully tiled with a large walk in shower. The balcony provides a great a pool view where you can relax on the balcony furniture provided. Park Lane Jomtien Resort consists of four eight-story buildings and provides residents with some great facilities, including a huge communal lagoon swimming pool with a central island that houses a restaurant, tropical gardens, a fitness center, a shop, concierge, laundry service, parking, CCTV, 24-hour security and internet. Rent to own studio – Easy payment plans available, no credit check needed. 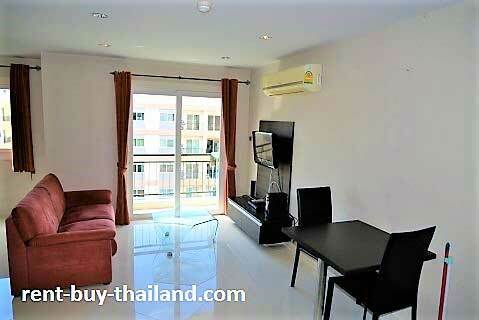 Buying condo Pattaya made easy. Other Condos around the area for sale|rent are available, please inquire for further details.